In Penney’s Models, Heather Theresa Clark orchestrated a dream reality that was mediated through the distance of time and the internet. 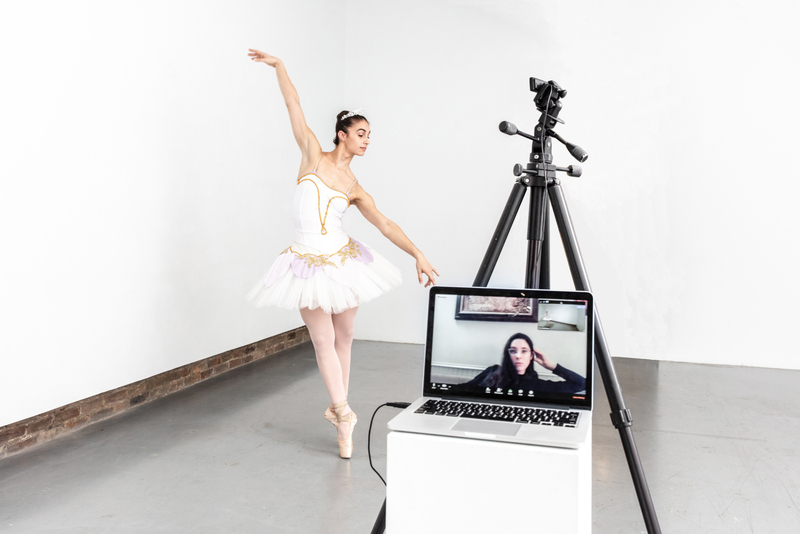 Clark hired classically-trained ballerina Melissa L. Lineburg to perform in a “deamspace” in Washington DC, while Clark watched the performance via live webcam at her home hundreds of miles away. This piece was shown live in the Inspiration into Action exhibition at the Hamiltonian Gallery where a white room became a “dreamspace” that served as a portal for converting inspirations into action. 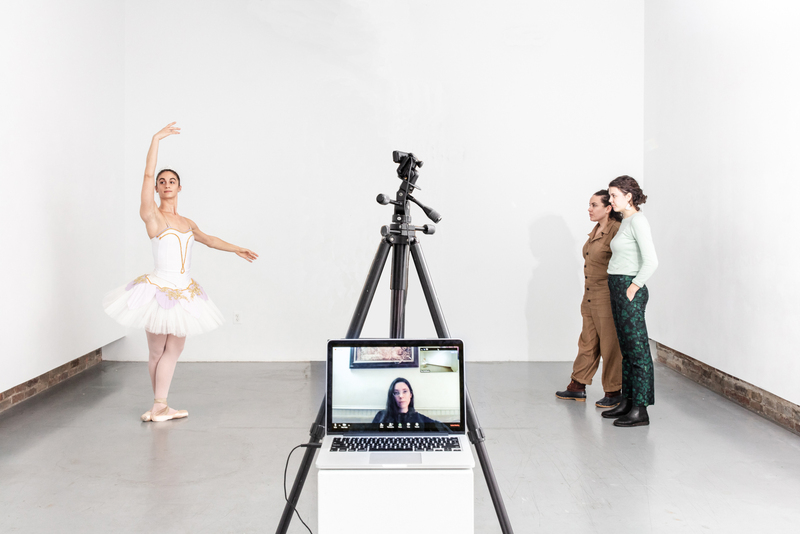 In this space, Clark was one of three artists who shared performances that involved the process of revealing, transforming, and bringing ideas to life. In the spirit of Inspiration into Action, this “dreamspace” is rooted in future possibilities, the imperfect past, and a drive for change.